Look, we know soccer is a big deal all over the world and we admit that we simply don’t get it. Like mayonnaise in toothpaste tubes (Japan). 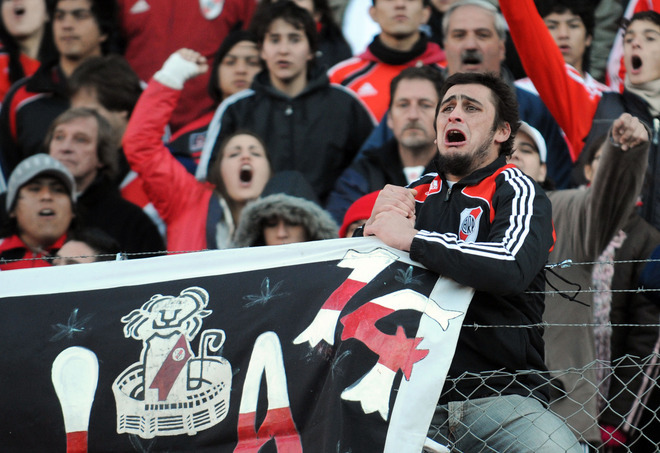 Apparently, the soccer team River Plate, which had won a record 33 Argentine league championships, got demoted to the second division for the first time on Sunday. As far as we can tell this is a big deal. 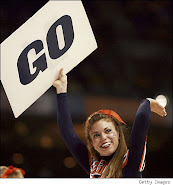 This prompted their legions of devoted fans to…drum roll, please…riot. Of course, what else would they do? 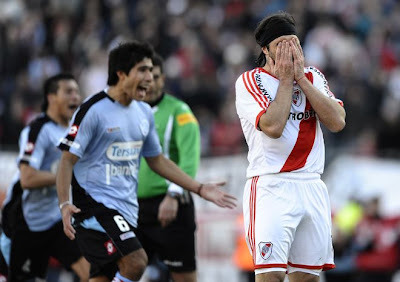 The story goes like this: River drew 1-1 with Belgrano of the Nacional B division in the second leg of a relegation-promotion playoff at the Monumental after a 2-0 defeat in the first leg in Cordoba on Wednesday. Fans in the 60,000 plus crowd at the Monumental were enraged, throwing objects on to the pitch and some tried to climb over perimeter fencing to storm on to the field. The violence escalated inside and outside the stadium with “barrabrava” hooligans fans causing mayhem in streets around the giant stadium lighting fires, breaking windows and looting some shops. Hooligans wielding iron bars and and throwing stones clashed with riot police while the bulk of supporters were afraid to leave the stadium for fear of getting caught in the violence. “There are about 25 people traumatised who have been taken to (local) hospitals,” said Alberto Crescenti, head of emergency medical services at public events. “They are out danger, supporters and police officers…They had mainly head wounds from stones,” he told reporters inside the stadium. Players of both sides had to leave the pitch under police protection while other officers used high power hoses and tear gas to try to the disperse the rioting fans. Belgrano were unable to celebrate promotion with the few hundred visiting fans, who were still in their sector of the stands for their safety two hours after the final whistle. 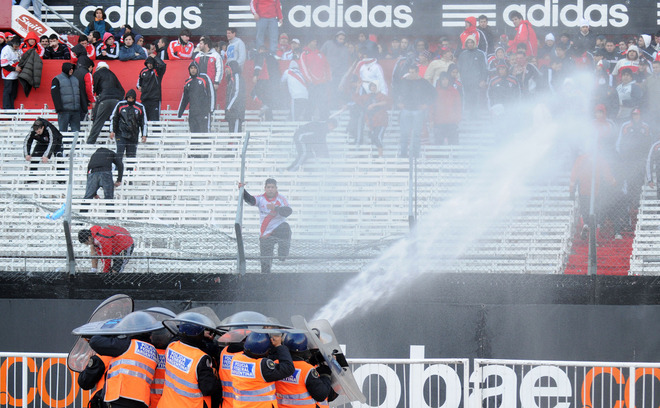 The authorities had considered playing the match behind closed doors after River fans had invaded the pitch in the first leg in Cordoba but changed their minds. Mistake…Followed up by a few bad decision. In a relate item, it was reported today that they fired their coach and hired a former player to replace him.